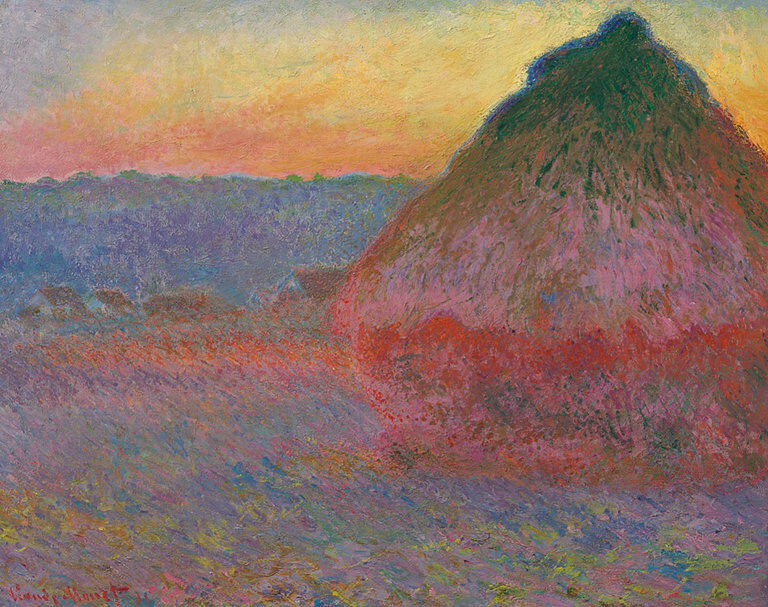 This very colorful sunset at Giverny behind a grainstack has just sold at auction for 81.4 million dollars, setting a new record for a work by Claude Monet. For this sale Christie’s has published a very interesting booklet that you can read on line here. It details the making of the work and its significance in art history. You will also read why it is not a haystack!